Welcome to Urban Engagement WebCity, a virtual blog exploring emerging trends impacting today's urban environments. As the son of a university administrator, my formative years were filled with a healthy dose of academic and campus life. Over time the cultural milieu which characterized the campus and neighboring area became a strong influencing factor in my choice of sociology as an academic major. Through these experiences it became apparent to me that while the primary mission of academic institutions is that of a quality education, their presence is also inextricably linked to the urban fabric and economic barometer of its surrounding community. So it stands to reason that local colleges and universities are increasingly being recognized as stable anchors of local economic development. This is particularly true for downtown central-cities as they regain momentum after years of population flight and industrial job loss. With their long history as key partners in the intellectual, cultural, and social ethos of a community, academic institutions are often the epicenter for civic connection. From the arts to spectator sports, academic institutions provide a rich experience that contributes to a community’s identity and essence. Our nation’s academic institutions are characterized by dense clusters of people, the agglomeration of which can serve as a catalyst for economic growth. These campus communities can have an enormous impact on a center city, boosting retail sales and adding to the area’s tax base. And as is the case with West Philadelphia, a city whose revitalization efforts were jump-started by the University of Pennsylvania and its former president Judith Rodin, whole neighborhoods can organically morph into uniquely defined university districts, fueling redevelopment efforts and community espirit de corp. Downtown organizations charged with fueling local economic development would be wise to build on this nexus between university communities and city center vibrancy. Collaborative efforts supporting housing, retail, and other local amenities can serve as a springboard for a comprehensive redevelopment effort, bringing life to moribund sections of downtowns experiencing an excess inventory of abandoned buildings and underutilized space. These bricks and mortar assets can be repurposed for a variety of uses, including research and development incubators and classroom space for continuing education offerings. 1. Research produced by academic institutions can be a driver of economic activity in a downtown core. The Evanston, IL-based Technology Innovation Center (TIC), a not-for-profit business incubator supporting emerging tech-based businesses, is an example of a powerful university-civic partnership. Established in 1986 through a joint effort between Northwestern University and the City of Evanston, TIC houses over 35 companies and has cultivated more than 300 companies in the last 20-plus years. The university’s reputation as a world-class leader in the research and education of business and engineering and information technology attracts visitors to Evanston, many of whom, hotel and shop in the downtown area. 2. Expanded business activity can be a precursor to revitalization efforts for fading downtowns and central cities. This can serve as the seed for the next generation of emerging companies in areas like biotech, generating jobs and commerce, directly or indirectly, for downtown corridors. Again Evanston serves as an example, having been recognized as one of the top-50 best small cities in the nation for startup business. 3. Downtown universities attract students who want to live in close proximity to the campus. Housing near dense, walkable downtowns with nearby housing appeals to millennial-generation crowds seeking access to restaurants, coffee houses, wifi, and nightclubs. Schools such as the University of California at Davis, University of Illinois at Chicago, and the University of Iowa are among the many campuses that offer the advantages of close downtown proximity. Further evidence of this appeal is presented by a 2008 study by the Pittsburgh Downtown Partnership, which noted that over 2,900 students lived in the Steel City’s downtown, and more than 5,800 chose to live in the central core. 4. University-sponsored activities, including civic events and the collegiate sports scene, can serve as huge traffic generators to nearby downtowns. 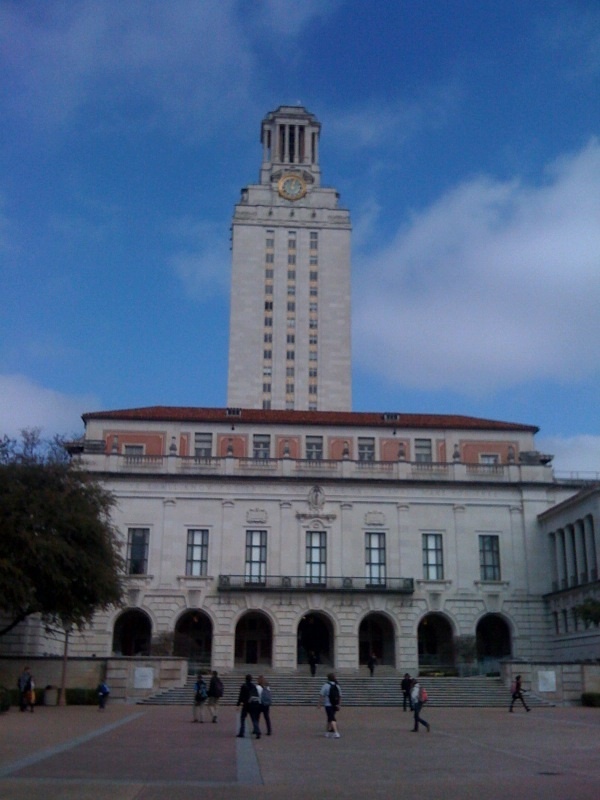 With staff estimated at 22,000, the University of Texas in Austin is the region’s largest employer and a major economic stimulator for both the nearby downtown and the region. The campus, located just past the capitol building on the fringe of the center city, provides a unique urban space relationship for the City of Austin. Each home football game attracts about 36,000 out-of-town visitors who converge on the downtown before and after the event, benefiting local hotels, restaurants and retail establishments. Other findings estimate that the university’s 50,000-plus student population, along with its staff, produces an annual economic windfall of about $837 million to the local economy. 5. Universities conveniently located to downtowns offer civic efficiencies that can save costs and provide continuities of scale for popular community offerings. This is true for San Jose State University, which is located on 154 acres and 19 city blocks in the downtown area. The Dr. Martin Luther King, Jr. Library, shared by the San Jose Public Library system and San Jose State University, is a model of this type of collaboration and one of the only arrangements of this type in the nation. The potential impact of universities as engines of economic, intellectual, cultural, and social prosperity should serve as a siren call to leaders seeking to boost the vibrancy of their downtown locales. Effective university-downtown partnerships can spur job growth, improve a city’s demographic and environmental character, boost area amenities and attract staff, students and visitors with discretionary incomes — all of which are keys to long-term sustainability of a downtown grid.